Book your next Orlando vacation at our hotel near Universal Studios, Florida and purchase a Universal Orlando package with Reserve Orlando. 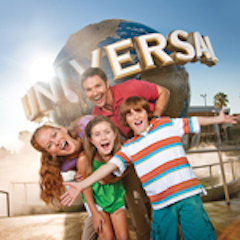 Adventure awaits you at Universal Orlando Resort! Your Universal Orlando Resort ticket type includes a choice of One Day and Multi-Day, Single Park or Park to Park Tickets. Visit Universal Studios, Islands of Adventure and The Wizarding World of Harry Potter. Select the number of nights that fits your vacation to create an unforgettable Orlando escape. Explore the magic of Universal Studios from our suites in Kissimmee. Note: Must book at least 3 days prior to arrival.